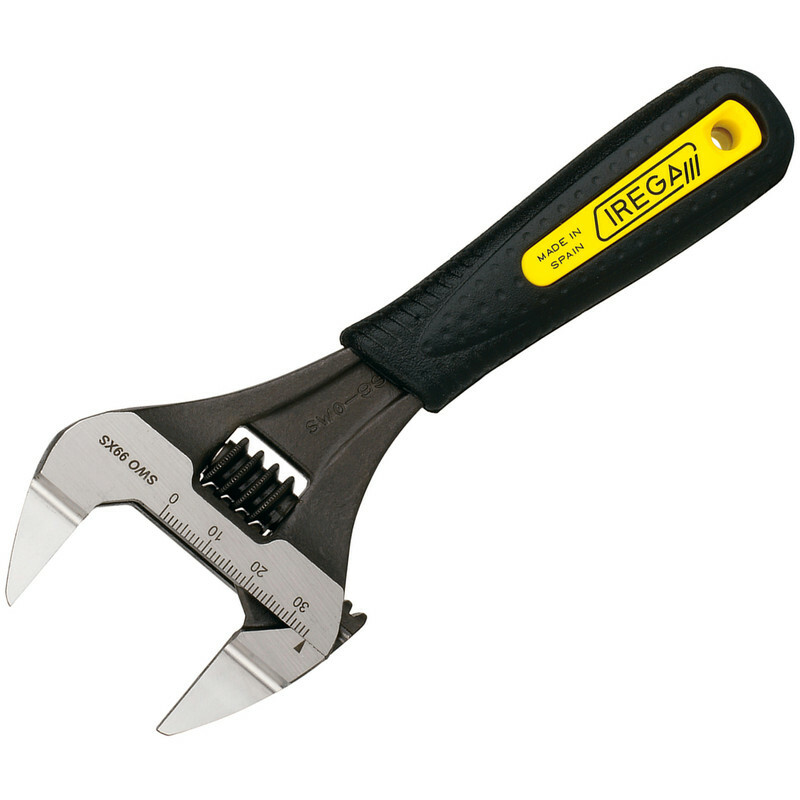 Irega XtraSlim Adjustable Wrench 8"
Chrome vanadium steel adjustable wrench. XtraSlim jaw design: up to 50% thinner than standard wrenches with a similar opening. Non-protruding jaw shank at maximum opening.